BENSON – Like jazz? 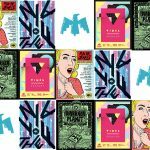 Looking for something to do the second Sunday of each month? Join Benson Theatre for Jazz Night in Benson. 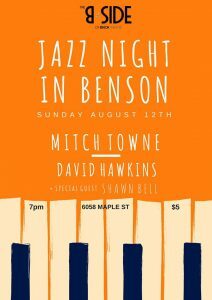 The new series continues Sunday, Aug. 12, at The B Side of Benson Theatre with Grammy-nominated organist Mitch Towne, acclaimed drummer David Hawkins and guest trombonist Shawn Bell. Towne played on Terrance Martin’s Grammy-nominated Velvet Portraits (2016). The show starts at 7:00pm, and tickets are $5 at the door. B Side is located at 6058 Maple Street in beautiful downtown Benson. The doors open at 6:30pm. 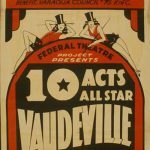 For information on other events happening at B Side, visit www.bensontheatre.org/calendar-of-events.